Adair Vineyards has all the beauty and history of a stunning 19th century painting, nestled in the heart of the Historic Hudson Valley. 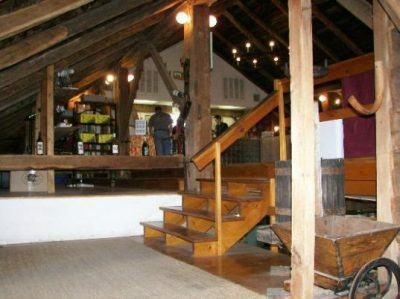 Visit the winery’s tasting room located in a historical barn and enjoy sipping on one of their delicious wines. Visitors to the winery can take in the beauty of gorgeous vineyards while enjoying fine wine made by local winemakers. While there you can take a walk through their beautiful vineyards and enjoy the views of the Shawangunk Mountains in the background. It is the perfect location for artists to come and visit, and draw inspiration from the picturesque beauty of the property. In fact, for years, the winery’s label has provided a glimpse of the beauty surrounding Adair Vineyards. Asher Durand’s 1840 painting, The Solitary Oak, is featured on the label of their Solitary Oak wine, which encapsulates the breathtaking beauty of Adair Vineyards. The winery even has their own solitary oak tree standing tall at the head of their vineyard. 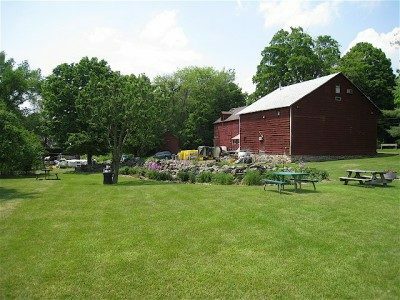 For those desiring to have a peaceful retreat to the countryside, Adair Vineyard is the perfect locale. Ideal for groups, couples and even your fur-babies (on a leash!) be sure that Adair Vineyard is a stop on your Shawangunk Wine Trail escape. Adair Vineyards also offers tours of their picturesque vineyards and winery. The vineyard is conveniently located next to the winery, which makes it easy for guests to come and visit both. Visitors can wander around the lush 10 acres of vines at Adair Vineyards fields, much like Asher Durand did years ago. There, the vineyards grapes thrive on the sun, rain and soil of the Hudson Valley. During the tour, guests can visit the wine cellars to see how vintners make the wine, store the products and bottle stock for customers. They can also taste a selection of wines available at Adair Vineyards. The winemakers at Adair Vineyards use estate-grown grapes as the primary source, supplemented with additional varieties grown at a nearby farm for a well-balanced stock. There are several types of grapes that thrive at Adair Vineyards which produce Seyval Blanc and Vignoles white wines, and Foch and Millot red wines. The vineyard produces more than 20,000 bottles of exceptional wine, ranging from dry to slightly sweet. The winemakers at Adair Vineyards continue to experiment with other varieties in a constant pursuit of advancing the art of winemaking and creating new and exciting wines. Adair Vineyards is more than just a winery – it is a tourist destination appealing to wine enthusiasts, nature lovers and even history buffs. The historic Hudson Valley was famous by explorers, artists and soldiers, and has been the home to Adair Vineyards since 1997. 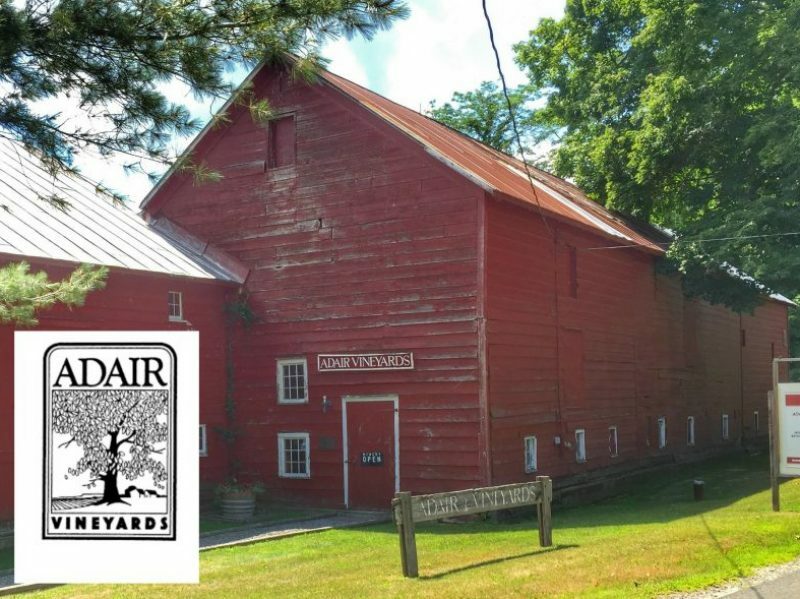 The convenient location of Adair Vineyards, makes it easy for visitors to stop by on their way to the many other historic and scenic sights of the historic Hudson Valley. Adair Vineyards is open on weekends May through October, with limited hours from November through mid-December. Adair Vineyards makes a great destination for family and friends. We encourage you to book a party bus or limo so you enjoy your time at Adair Vineyards without the worry of have to drive home safely. Visitors agree, a trip to Adair Vineyards is one of the best tourist experiences you will find in the historic Hudson Valley.